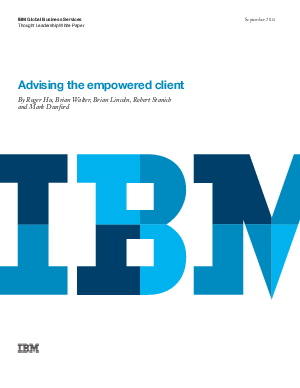 Empowered clients are changing the wealth management ecosystem by pressuring advisors to develop new ways to personalize offers for a broad range of clients. Those firms that wish to be leaders, particularly in winning the business of younger investors, capitalize on technology to enable their platforms to support stronger client relationships. The key to this transformation is cognitive technologies. Read this whitepaper to see how cogntive technologies are transforming the wealth management landscape.